Until the light bulb went off, that is. I knew there had to be a market out there for people like me who enjoyed spending their travel dollars on fun things like eating out and exciting activities instead of wrapping all that cash up in expensive hotels. I was right. As soon as I listed our apartment on Craigslist, I started to receive inquiries that quickly turned into bookings. This was all pre-Airbnb and other micro-subletting (the fancy word for short-term rental) sites. (By the way, I don't recommend using Craigslist for micro-subletting nowadays.) Nonetheless, we started pulling in a good amount of money from the get-go, and it only increased when we started listing on the micro-subletting sites once they were introduced. 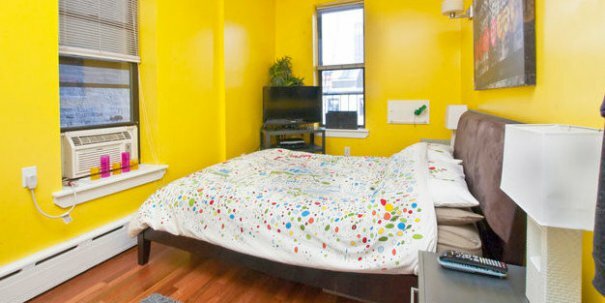 You can find success in micro-subletting, too. Granted, it's much easier to fill our space in New York City than other places, but you might be surprised at the number of inquiries you might receive where you live. 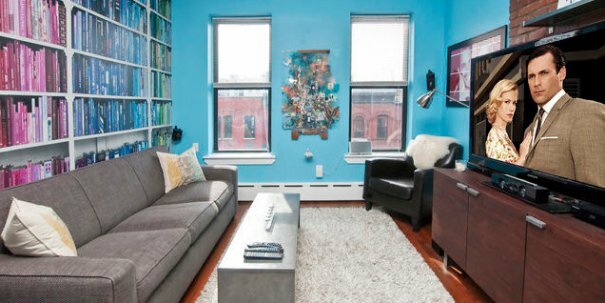 If you haven't thought about micro-subletting before, start. If you've been hesitant to try it, take a chance. This is a very easy and honest way to supplement your income and perhaps even save more money than you thought possible — and it's using what you already have. We've been renting out our home for nearly six years now; I'm considered a "Super Host" on the Airbnb website. We've hosted hundreds of people from all over the world, and we have more than 150 positive reviews about our accommodations and hosting style. Thus, I consider myself an expert in this field, and I'm happy to divulge my tips, tricks, and advice so you can be successful at micro-subletting, too. Take a look. The number one reason that people choose to stay with us over other hosts — in my opinion, at least — is the description we've provided of ourselves and the accommodations in our listing. I know this because many times the potential guest reaching out for the first time specifically mentions something positive about the description. There's a reason for that. I took the time to write a description that was charismatic, conversational, humorous, and detailed. I wanted to capture the strangers' attention enough so they'd want to be our friends in just a few paragraphs. Whereas other listings are straightforward and to the point (and, frankly, boring), ours draws the potential guest in and makes them feel at home and comfortable instantly — and that's exactly what you want if you're choosing to stay in the home of someone you've never met before. Another reason we receive more bookings than a lot of listings in our area is because we offer great amenities. In the private guest bedroom, there's a mini fridge, flat screen TV with HD cable, DVD player, iron and ironing board, and lots of books and maps of the city. Our guests also have full use of our home while they're here, whether it's cooking their meals, hopping on the computer to print tickets or vouchers, playing our video game system or board games, washing and drying clothes, or borrowing a book or DVD. And it's all included in their stay. Also included is free coffee, tea, and cereal. Our guests get a lot of bang for their buck, and these amenities are our way of giving that extra value that other listings are not. I respond to my inquiries within minutes usually — thanks to the micro-subletting services' mobile apps — and I never let them go for more than a few hours. Not responding promptly to inquiries gives the potential guest time to browse other listings, and I don't want that. I want to be the first and the best so the choice is easy for them. My response time is largely what keeps us booked consistently throughout the year. The way a guest reaches out to me initially impacts whether or not I'll accept their reservation request. I consider myself a very good judge of character — even online — so if they don't offer up details about themselves, where they're coming from, and what the purpose of their visit is, I'll inquire. If they continue to be standoffish, it's probably a good sign that I don't want this guest in my home. However, going back to my listing, it's written in a way that invites the potential guests to provide information and details about themselves, so I rarely have to dig for more. Also, Airbnb in particular has verifications for members, including Facebook, Twitter, phone numbers, and more. If the potential guest isn't verified on social media, I generally won't accept the request. I can't stress this point enough. The only guests you should accept are travelers from out of town. Why? Because locals who want to stay with you often come with baggage — and not just the kind they're carrying in their hands. They've broken up with their significant other; they were evicted; or they're planning something far more nefarious, like making copies of your keys during their stay, then robbing you blind while you're not home a few weeks later. Trust me, it happens. Locals also may be difficult to get out, problems that arise could annoy your neighbors, and you're putting yourself in a potentially dangerous situation with someone nearby who now knows where you live. Feeling unsafe in your own home is not a feeling you want, especially when you could have avoided it. Do not accept locals under any circumstance. A big part of this business — and I do consider it a business — is maintaining the reservation calendar online and offline. The micro-subletting sites keep track of your reserved dates for you in an easy-to-access manner, but I also put all reservations on the calendar on my phone, so I can see what's happening at a glance and what I need to do to prepare in advance. Failing to keep you calendar organized will result in double bookings eventually, especially if you're using multiple micro-subletting sites. That would be a nightmare for you, and it's not pleasant for the guest either. Can you imagine being told you have nowhere to stay when you arrive at your vacation destination because the host couldn't keep track? You'd be very upset, and your potential guests will, too. If you're listing certain amenities that appeal to potential guests, it's imperative that you provide them during their stay. 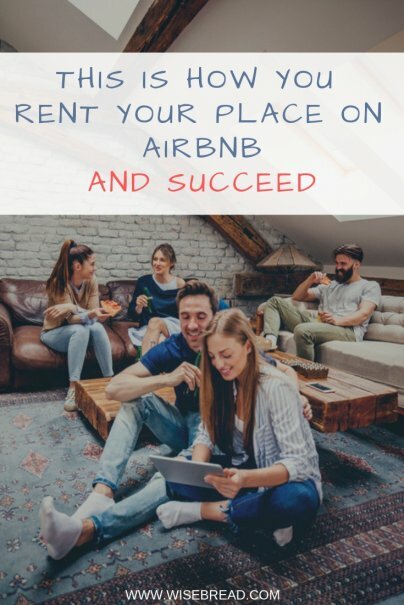 These included items and services are likely part of the reason why they choose you over many other available listings, and it's your duty to be the best host you can be. The downside to not offering what you're advertising in your listing is that the guests may leave you a poor review, and that could turn future guests away when they browse the reviews on your profile. When setting the nightly fee for your listing, research other properties in your area. I live in Manhattan, so I did a search for properties within a 10-block radius in all directions, found the listings that closely resembled my own, and made an informed decision on what fee to set the listing — which is directly related to my next point. As I've detailed, the engaging description on my listing along with the amenities offered, the photos, and the reviews, play a large part in a potential guest's decision to stay in my home. Just as large a part, however, is the nightly fee they're paying for what they're getting. They want a great place to stay, and they want to save while they're at it. From day one, I've been very savvy about the nightly fee: I simply undercut the competition so I can appeal to more people. Oldest trick in the book, sure, but it amazes me how many people in my area are asking for nightly fees that exceed what they're offering, and their calendars are perpetually empty as a result. Because of our marketing savvy, we're booked most nights from the beginning of April to the end of the year. The winter is a bit slow for business, so as a further tactic during these months I generally lower the nightly fee about 10%, making my listing even more appealing. I'm also more open to longer-term stays in the first three months of the year than I would be the rest of the year. The big money comes in turning over guests every three to five days. More work, of course, but more money, too. Now for the bad news. You have to pay taxes on every dollar you make from micro-subletting. All of the micro-subletting sites with which you're listed and making money will send you 1099s at the beginning of the year. This is an important detail to remember because it's very easy to spend that additional income without considering the tax repercussions. You definitely don't want to find yourself in a situation where you owe $8K and you don't have the money in the bank. My suggestion to handle this situation wisely is to put 50% of every booking in your savings account (or more if you'd like), and spend a small portion smartly. By saving and spending our micro-subletting income smartly, we were able to turn one home into two, which means that now we have the means to double the income we were making before. Not a bad deal at all — and you can do it, too. Have questions or advice to add about micro-subletting? Let me know in the comments below. Great post! 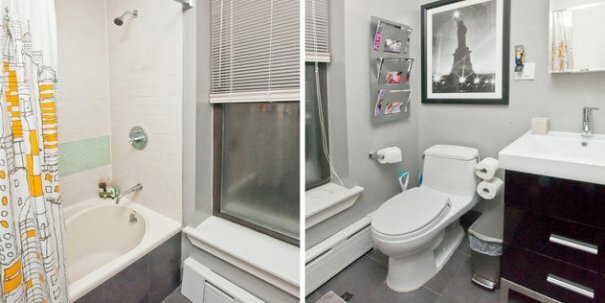 I live in Alexandria, VA, just minutes from DC and I've considered "renting" out our extra bedroom on airbnb, but haven't taken the plunge because I worried that since we only have one bathroom that we'd need to share with the guest and since we do use part of the guestroom closet and dresser for storage that we wouldn't get takers. We aren't at the metro either. But from our house you can walk to shops, restaurants and the bus station and it takes 10 minutes to get to the National Mall from our house. Are my hesitations/worries valid? Or do I just need to get over them and/or shift around some of our stuff. Thanks for the comment, Alicia. We only have one bathroom in the condo, and we share that with guests. It's generally not a problem. Some potential guests will ask in advance because having to share a bathroom may be a deal breaker for them, but you can always just include that information in your description so potential guests can see that from the start. I do, however, let guests know when they arrive that we don't want any hairbrushes, makeup, etc. littering the bathroom. They're welcome to keep their toiletries in the shower and their toothbrush/paste in the holder, but otherwise I like to keep the bathroom clean of debris so it's convenient for everyone. As for the guestroom, we use part of the guest room closet as well - we have limited space in NYC - but after a few guests mentioned they wished they had more space, I shuffled some things around (and got rid of things I didn't need; a good way to make a few extra bucks) so the guests could hang a few pieces in the closet and store a bag or two also. You'll figure out how to run this business very efficiently after a few months of guests. Follow these tips that I've written and you'll do just fine. Great article! For your out of state house, do you have a property manager and house cleaner or do you go back and forth between rentals to check in and set up for the next guests? Trying to figure out the best way to manage an out of state property. Thanks! We acquired the shore house last summer, and we spent most of the summer putting it together, so we missed out on the prime rental season. Things are really heating up rental-wise for the shore house this season already however, which will mean that I will have to go back and forth between the property often, sometimes a couple times a week. I prefer to do the cleaning myself because a) only I'm going to do it to the standard that it should be, and b) I don't like the idea of dipping into my profits by paying $150+ for a cleaner to come in every time a guest checks out. I will certainly need to manage my schedule much more tightly, and likely reduce a bit of my workload for my other business, but it's manageable. Take into account too that I'm self-employed; I think that's the only way you'd be able to manage an out-of-state property by yourself because you'd have the flexibility. I'm pretty sure that's wallpaper. I'm curious to know why turning around guests every 3 to 5 nights means "big money" I don't get that? Also, wondering your thoughts about "cleaning fees" and how much to charge for that, if you do recommend it? I have a studio apt that i've just listed. I have a dresser with my clothes in it. 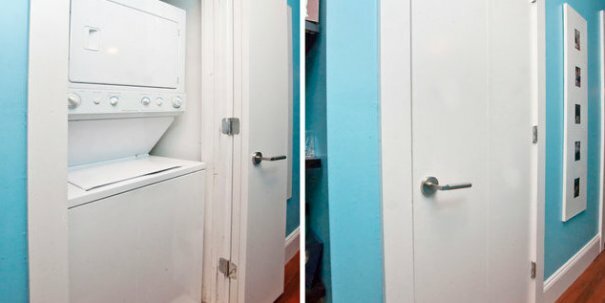 Is it ok to leave my things in there, or should i empty it for the guest? Great post. You mentioned that you use other sites, what other sites do you use? How good are they compared to AirBnB. We just listed our place, got any suggestions on what we can do to improve the place?